Flat Out Friday Milwaukee | Hupy and Abraham, S.C.
Milwaukee is a hotbed of motorcycle happenings. The home of Harley-Davidson, Buell and the North American headquarters of Royal Enfield, the city is a front line for motorcycle cultural advancement. This season, join Hupy and Abraham, S.C. at one of the most exciting up-and-coming events in the Milwaukee area, Flat Out Friday. 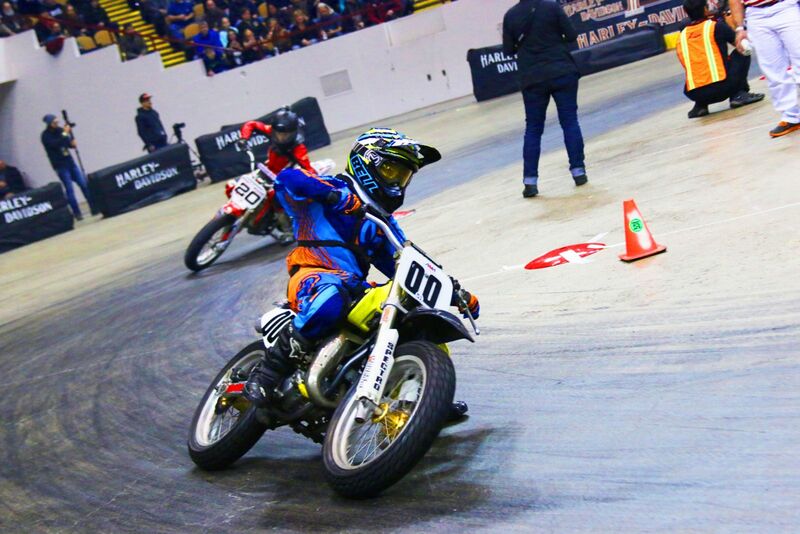 Co-founded by Jeremy Prach of Prach Promotions, Flat Out Friday is an indoor flat track race held at the Panther Arena in the heart of the city. Drawing crowds of thousands, the indoor impromptu track is coated with a layer of Dr. Pepper syrup to create a sticky racing surface. 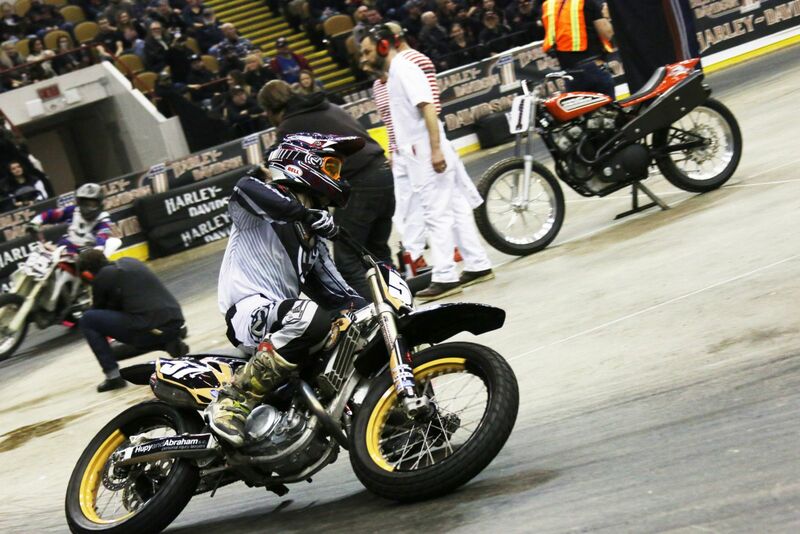 Parker Lange of Lange Brothers Racing, Hupy and Abraham's sponsored team! 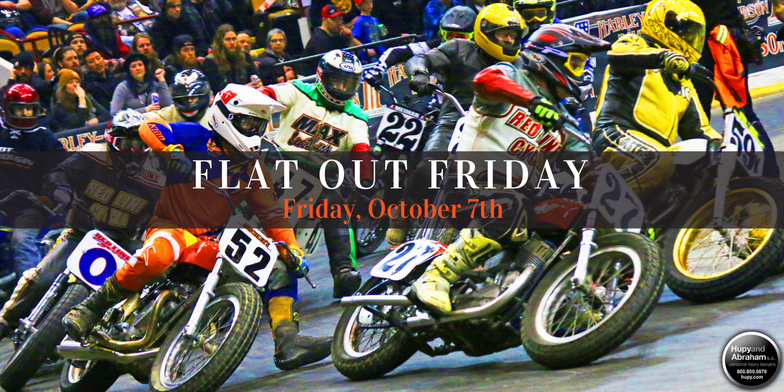 Flat Out Friday is held twice a year, once in October and once in February in conjunction with the Mama Tried Motorcycle Show. The race features nine classes with categories ranging from professional to “inappropriate,” during which all types of bikes (and costumes) are accepted, and the winners of each class receive national recognition. This October, Hupy and Abraham’s sponsored racers Parker and Brady Lange of Lange Brothers Racing will be riding once again in the Open and Pro classes. 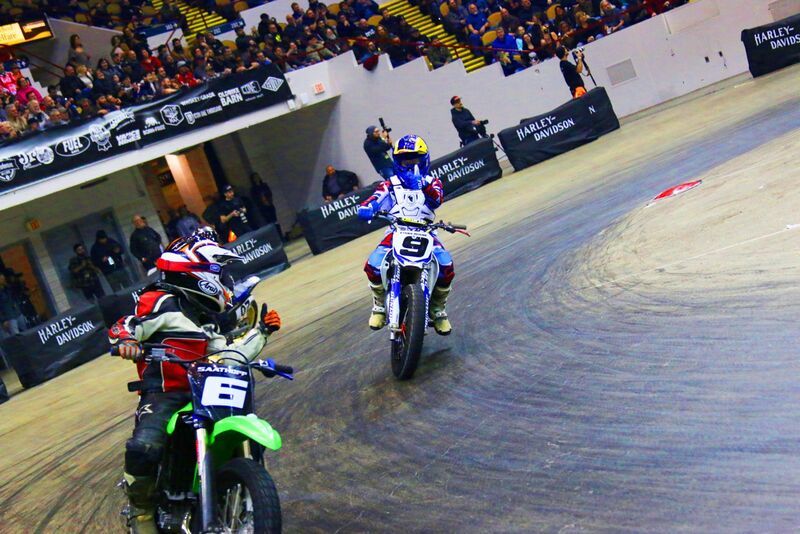 Every year, the Mama Tried Motorcycle Show and the Flat Out Friday races become more and more popular, as Milwaukee continues to be an hub of grassroots motorcycle passion. Come out and join us October 7 to experience the culture, and fun, of Milwaukee’s Flat Out Friday! At Hupy and Abraham, S.C., we’re dedicated to motorcycle safety. We do everything we can to help spread the “Watch For Motorcycles” message and keep riders safe. To join the effort and support the sport, order your free “Watch for Motorcycles” sticker here.